It’s no secret that kids can have BIG feelings. They melt down, lash out, and sometimes I think they even surprise themselves with what they are capable of. As a nanny for 5+ years, I know it can be extremely frustrating and even baffling (You know those times where you give your toddler/preschooler exactly what they asked for and they still lose it? Anyone else?) 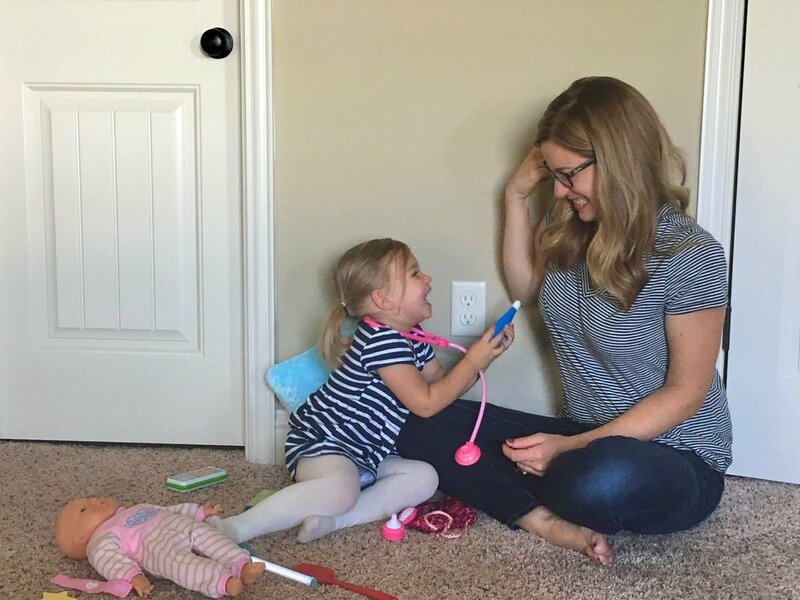 I’m here to share some tips and tools that I have learned through my experiences as a nanny and Certified Child Life Specialist. Sign up with your email address to receive news and updates from Dose of Play! Even better, books can help with reminders throughout the day when you see your child beginning to escalate. For example, “Remember, how does a dinosaur act when he’s mad?” This can give you a common script to use and will hopefully begin to curb the behavior before it gets out of control. Step number two is modeling. This is SO important in the way children learn. Remember the saying “Do as I say, not as I do?” Well, I’m here to say what I think we all know- that it is not an effective way of learning or changing behavior. For instance, say I am a young child and I see that when Dad gets mad he yells or hits the table, or I see that when Mom gets frustrated she says “Ugh!” and tosses her phone across the table. Is it a surprise that when I get upset I scream, throw my toys, and kick the floor? It will take practice for you to remember to do this in the moment just like it will take repetition and practice for your child to catch on. However, it will be worth it when one day you see your child stop, think, and choose a coping skill instead of escalating into a meltdown. Remember- monkey see, monkey do! Box/Any Type of Container: Mr. 3 decorated his own bin with stickers to promote control and encourage excitement to use it. Emotion Cards: These help kids name the emotion they are feeling. Glitter Jar: This acts as a visual focus. I cannot count the number of times kids have screamed that they didn’t want it, but inevitably got drawn in to watching it and calmed as a result. There are a million glitter jar tutorials on Pinterest. Michaels has recently started carrying this sensory bottle, which I think is much easier than finding the right water bottle to use. Just remember to glue the bottle shut! Target $1 section has had awesome resources in the past! You can also make some fun versions, like this dragon one from Babyccino! Later Additions: As Mr. 3 got older I needed to spruce up the contents to encourage him to use it more and to introduce some new strategies. Breathe Like a Bear Book: This incredible book was also a game changer! Mr. 3 loved to choose a page (once again, control!) and it got him to calm pretty much immediately all while learning new deep breathing techniques. 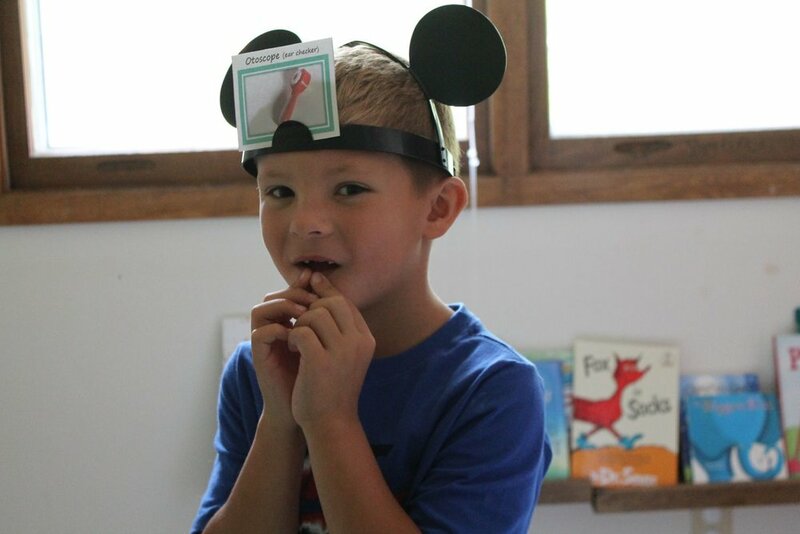 Game Spinner: Since he started getting into playing games, I thought this would be a great way to encourage him to use the calm down box and a way for him to exert control over the situation. Even when he was his most upset, he would always choose to spin, then would calm quickly, and follow through with whichever coping skill it landed on. While I’m not going to sit here and tell you that these strategies worked all of the time, I will say that I noticed a huge difference in how we both reacted to high emotion situations. A coping toolbox gives parents and caregivers something consistent to utilize, which I found made me feel more in control of the situation and less easily frustrated. For kids, it also provides consistency, which is key to learning coping skills and becoming independent with them. I hope that you find success with these tips and strategies as well and can be on your way to a more peaceful household and emotionally intelligent kiddos! Kim Haberkorn is a former nanny and current Certified Child Life Specialist at Children’s Hospital of Wisconsin. Kim loves seeing how differently children cope, even at the same developmental level, and using her skills in and out of the hospital to support children in being the best they can be. Follow Dose of Play on social media! Click the links below for more tips and resources.